According to the Occupational Safety and Health Administration, roughly 475,000 large trucks with a gross vehicle weight rating of more than 10,000 pounds are involved in crashes every year. These crashes result in approximately 5,360 fatalities and 142,000 injuries annually. The unsafe actions of automobile drivers are a contributing factor in almost 70 percent of the fatal crashes involving trucks. These include speeding, negligent or reckless driving, driving while tired or fatigued, drug use, improper maintenance, and lack of adequate training. 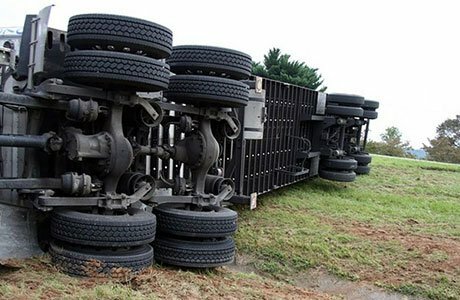 The injuries people suffer at the hands of negligent truck drivers are almost always catastrophic, if not deadly. Injuries short of death often include broken bones, burns, spinal cord injuries, and brain damage. Of course, on top of the physical injuries is the emotional and subsequent financial turmoil innocent victims suffer.If you have been injured, or someone you know has been injured or killed in a trucking accident, we can help. We are familiar with the shortcuts taken by trucking companies to increase profits at the expense of safety, and we have experience with the regulations that bind—but are often ignored—trucking companies. The attorneys at Pospisil Swift have the experience to navigate the confusing and intricate process of seeking recovery for victims, including dealing with lost wages, accident reconstruction, medical-treatment issues and insurance companies. For more information, please contact us for a free consultation.